As described. Nice texture and feel. Also, the color is exactly as pictured. Unfortunately, it didn’t quite match the gray tone I needed for my bed set so I will have to return. This luxurious velvet Pillow Sham is a direct coordinate to the Five Queens Court Gordon Coverlet. It contains the same elegant ultra-luxurious velvet fabric and features a custom quilted pattern to match the Coverlet. Fine details include an accented 1/4" velvet piping for a tailored finish and a hidden zipper closure. 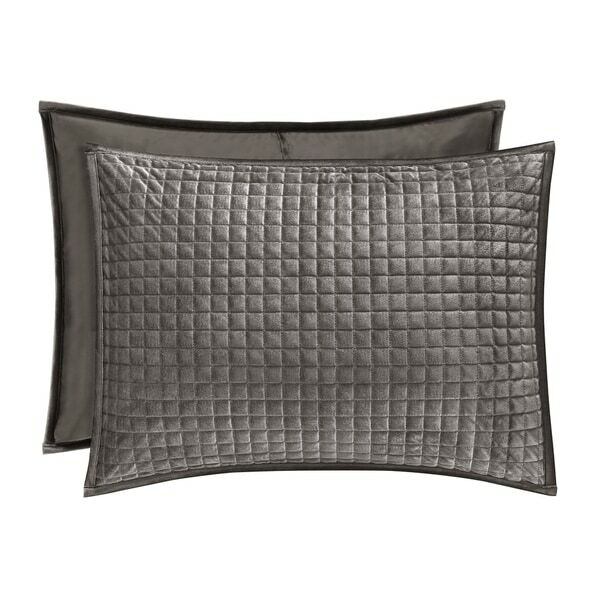 Available in six different color ways, this sham makes for a perfect accent piece to your bedroom decor. Standard/Queen measures 20x26 and King measures 20x36. Dimensions 20.0 In. X 36.0 In. X 0.0 In.